Seafood allergies have considerably increased in the recent era due to drastic increase in consumption of seafood. Seafood allergy tends to remain a life-long problem. According to estimates, approximately 1 per cent population suffers from seafood allergy. Seafood allergy is an abnormal response of the immune system to proteins found in seafood. Seafood allergy includes allergies to scaly fish, bony fish and shellfish. Seafood allergy is another instance of malfunctioning of the body’s immune system. The immune system when fails to recognize the marine proteins as harmless, launches attack against them thinking them to be harmful pathogens. The initial execution of attack happens by production of antibodies against the antigens. These antibodies engulf the pathogens (i.e. 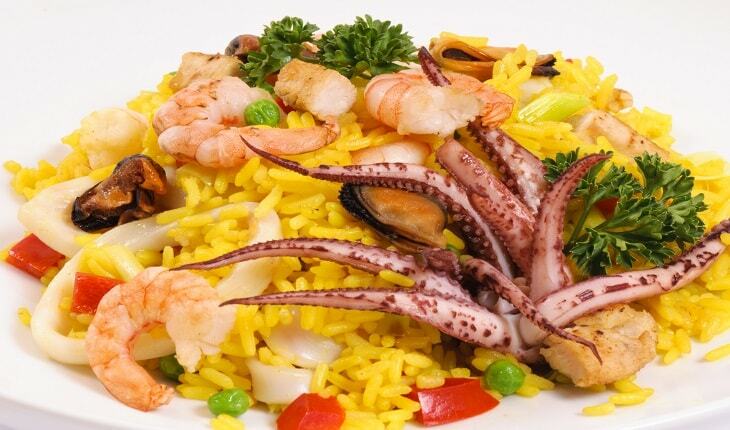 seafood proteins) and signal the immune system to release histamines and other harmful chemicals. This happens only when the same pathogens attack for the consecutive time. Symptoms usually occur within minutes of contact with seafood. Symptoms of seafood allergy can be quite dangerous and life-threatening in some people. On the other hand, some individuals experience the milder side of it. This type of allergic reaction is known as anaphylaxis. In this test, the skin of an individual is pricked with the help of a needle and the allergen extract (i.e. seafood protein) is administered in the pricked area. In case the individual is allergic, small bumps raise in the pricked portion. If not, the individual is certainly not allergic to seafood. It is a more comprehensive form of diagnosis. In this test, the blood of an individual is checked for the presence of immunoglobulin E antibodies (IgE). The existence of these antibodies in the bloodstream reflects that the person is suffering from seafood allergy. Seafood is a vital part of diet in Asia and Scandinavia. Therefore, people residing in this part of the world are at considerable risk of developing allergy to seafood. As compared to most food allergies, seafood allergy occurs more in adults than in children. It has been reportedly found that 20 per cent adults outgrow their allergy with time yet teenagers and adults are at greater risk of developing allergic reactions to seafood. Inhalation of seafood smell while cooking puts asthma patients at risk of developing allergy to seafood. Those who handle seafood on a frequent basis are at risk of developing contact rashes, which are symptoms of seafood allergy. There are high chances of cross-contamination while purchasing or handling seafood. The fish protein one is allergic to might be found in other fish species, thereby increasing the risk of developing allergy in one who comes in any form of contact with it. Seafood allergy can be quite complicated if not treated on time. The complications might lead to even death of an individual. Anaphylaxis reactions in seafood allergy are not rare. In fact, according to estimates, seafood is world’s one of the most potential allergen causing fatal and life-threatening allergy. Elimination diet is the initial form of treatment. Once allergy is detected, doctors would first of all advise to avoid seafood completely. This is quite possible when eaten at home. While dining out, especially at a seafood restaurant, it is more likely for accidental exposure to occur. Mild symptoms of seafood allergy are treated with prescribed or over-the-counter anti-histamine medications. Severe anaphylaxis symptoms are basically treated with dosages of epinephrine and a trip to the emergency medical care. People prone to anaphylaxis attacks are advised to carry epinephrine auto-injectors along with them. This can immediately bring the critical situation under control. But it is still advisable to visit the emergency medical care for proper follow-up and monitoring of the symptoms. Immunotherapy is another potential treatment for seafood allergy but it would require a lot of research before considering it as an established treatment option. Diet plays a pivotal role in the management of seafood allergy. A strict regimented diet devoid of seafood is mandatory to avoid the fatal consequences. As a part of caution, one should be aware of the sources of seafood. Vertebrates (Fish) include tuna, salmon, mackerel, cod, herring, trout, rays, eels, haddock, sardines and John Dory. Invertebrates (Shellfish) are of two types: crustaceans and mollusks. Crustaceans include crabs, lobster, prawns, yabbies, crayfish and shrimps. Mollusks include clams, oysters, squid, mussels, octopus, sea slugs, abalone and calamari. These are the distinct varieties of seafood. Besides these, many recipes or foodstuffs have seafood as hidden ingredient. Therefore, while dining out, it is important to feel free about asking questions to the concerned person regarding the ingredients. While purchasing any foodstuff, reading labels should be brought into habit, so that seafood allergy can be avoided at large. Once allergy is detected, a consultation with doctor is mandatory to figure out the dos and don’ts. Doctor might ask to avoid some specific seafood or all forms of seafood depending on the severity of allergic reaction. Cross-reactivity or cross contact might prove to be fatal in this case. Thus, it is highly recommended that all forms of seafood should be avoided if allergy is confirmed.